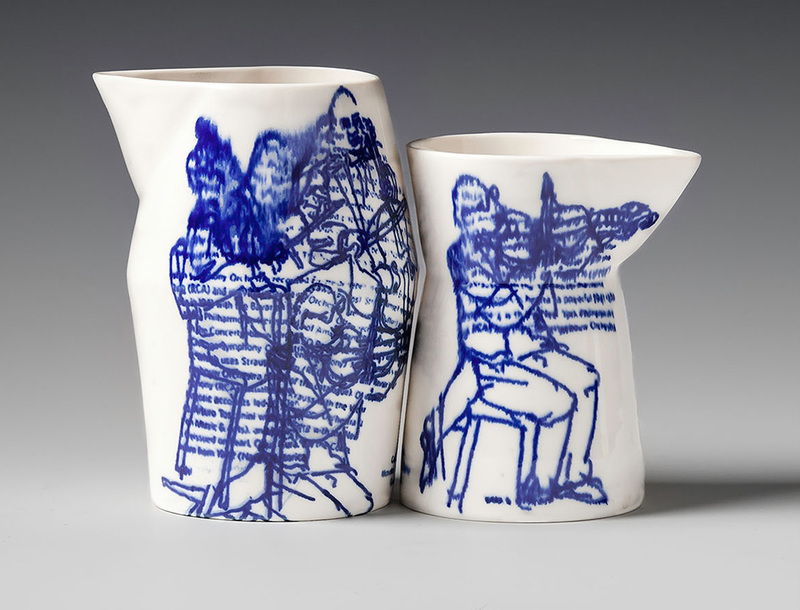 This piece was a collaboration design with the talented ceramic artist Masako Fujii, from Japan. My illustrations are decaled on top of the cone 10 glaze and fired up to that temperature again, so they sink under the glaze. This is dinnerware for Children, with my images created for a book called “All About Eggs” by Millicent Selsam. (illustrated and copyrighted by me). 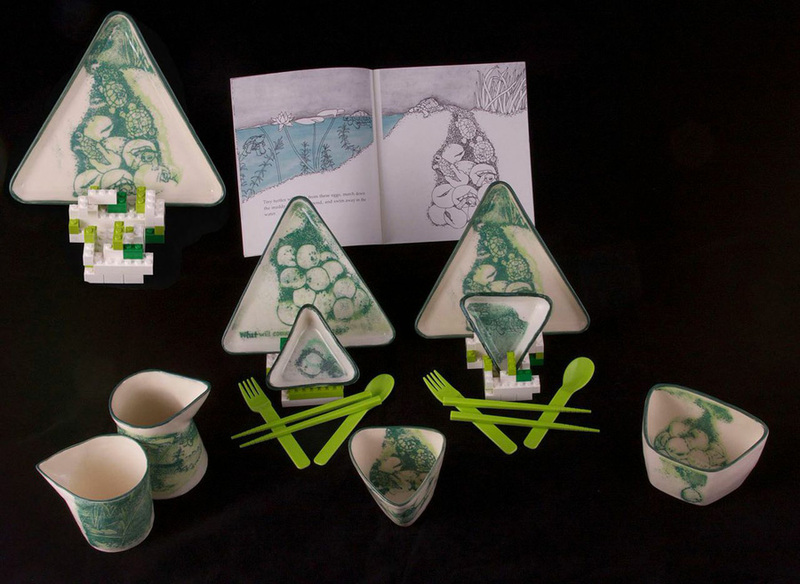 Turtle Dinnerware for Children, Honorable Mention at the Providence Art Club. LEGO is a trademark of the LEGO group, which does not sponsor, authorize or endorse this web site. 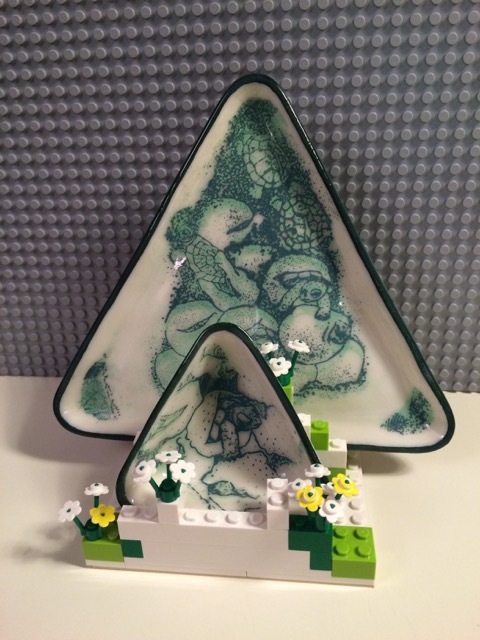 The LEGO bricks can be used in this special way, and sold with my dinnerware. Made of Royal Copenhagen Porcelain fired to cone 10, with stains. 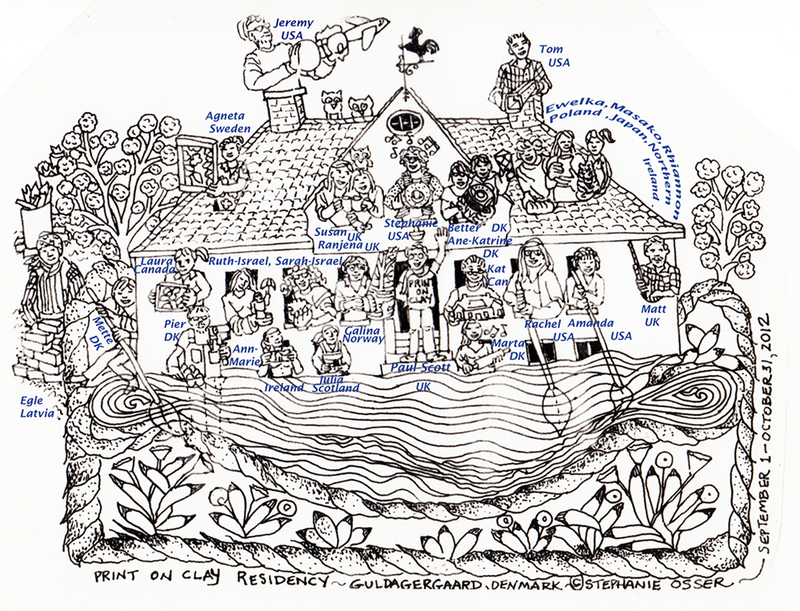 “Here is my interpretation of the house where all the resident ceramic artists lived during September and October of 2012, the International Ceramic Research Center called Guldagergaard, located in the sea side town of Skælskør Denmark. 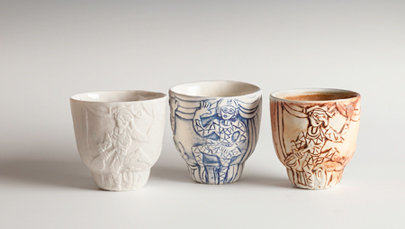 These folks are the talented artists that lived in the Guldagergaard House, the International Ceramic Research Center, with me. We cooked meals together, shared our stories, and cheered each other on as we pursued our new creative explorations in clay. 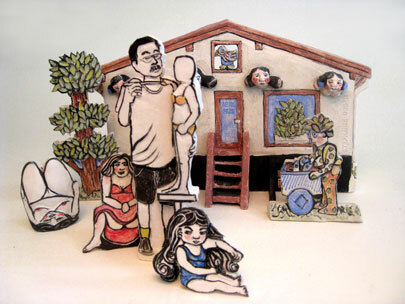 This illustration shows an interpretation of the experience of living there. 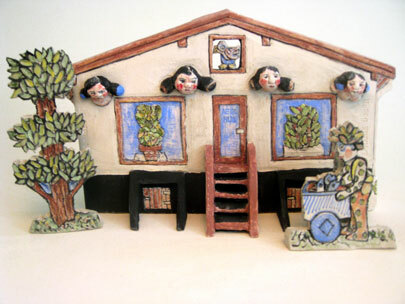 To me the house was like a boat that we navigated through the construction of improvements to the clay studio. We often had rainy weather and dressed in layers, with boots.